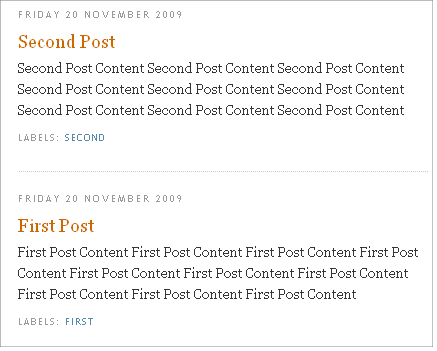 How To Show The Post Date For All Your Blogger Posts you do on your blog including posts you have done On same day i.e as in blogger you have an option of date-header to show up the date for each post that you have done in blogger to show up when it was posted.But there is only one small problem in this feature,as when we do more than one post on same day the date shows up only for one post,that is last one not for both.So if you have problem with this and interested in displaying the date of post in all posts,you can solve this problem following this tutorial.Check the below image showing two posts of my demo blog which i have done on same day. Now it will show date for both posts as below. Now, all of your posts in the same day will include the date. If you have any problem you can leave your comments. @subagya you can do many things but i want to make it best and simple solution for bloggers using from default template to customized template and to make it implement easy. awesome! much better than hacking it so the timestamp shows the date. What must I do now to enable me to see the dates for posts on the same day? Thanks. Now your timstamp format will be used to show date which always shows date. Another great tutorial… Many thanks Anshul, Good job! I dont find the exact code sequence in my blog, so could you give help please ? @aleramo atleat u would be getting <data:post.dateHeader/> line if you use date in your blog.replace that. I tried it but didn't work s expected. When I replaced as per your instruction, it shows date on all post the but the calendar format was missing. How can I show the as the calendar format and make it appear on every post. Hope you can help me. 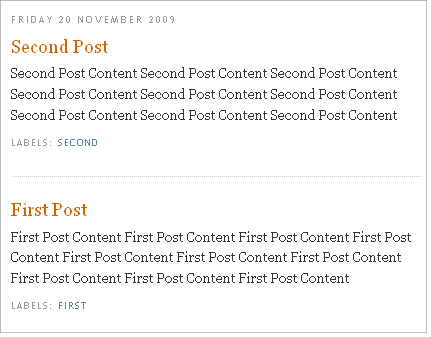 @mera the hack is just simple date as shown in blogger for posts not caleneder widget. It shows the date using timestamp, but I want to post the time AND date on every post. shall i change h2 in the above code into span? (i have a purpose…for that i need to change h2 into span…if i change h2 into span will anything go wrong? Thank you! it works well for me!